This is the tenth post in our series: Discover Korea’s Tech, where we will talk to a mix of Korean startup entrepreneurs who stood their own ground with their technology, in Korea’s economy notoriously dominated by gigantic companies. Stay tuned over the coming month as we talk to Korean entrepreneurs. You can follow our updates @technodechina for new stories in the series. Agriculture is one sector that technology has not yet disrupted. However, there are many agriculture tech products out in the market, mostly IoT products collecting soil data. One company was to get to the root of agricultural technology. BLH Aqua Technology creates products that helps plants grow more efficiently. The company makes Aqutonix, an eco-friendly farm produce booster. It enhances the plant’s water absorption so that it can grow bigger using reduced amounts of water. The company claims that Aqutonix, combined with effective irrigation facilities at the farm, can yield more from plants, thus increasing a farm’s profit. Mr. Hong and his team members bring more than 20 years of experience in agriculture, engineering, and electronics. Founded in 2015, the agriculture tech company has tested prototypes of Aqutonix at more than 80 farms in Korea by the fourth quarter of this year. “According to the test on 19 different crops, plants have shown increased yield up to 43% with an average of 25%. It can increase a farm’s annual sales at least 15,000 USD per unit,” Mr. Hong says. The secret to plant’s absorbing more water is by leveraging the characteristic of aquaporin. 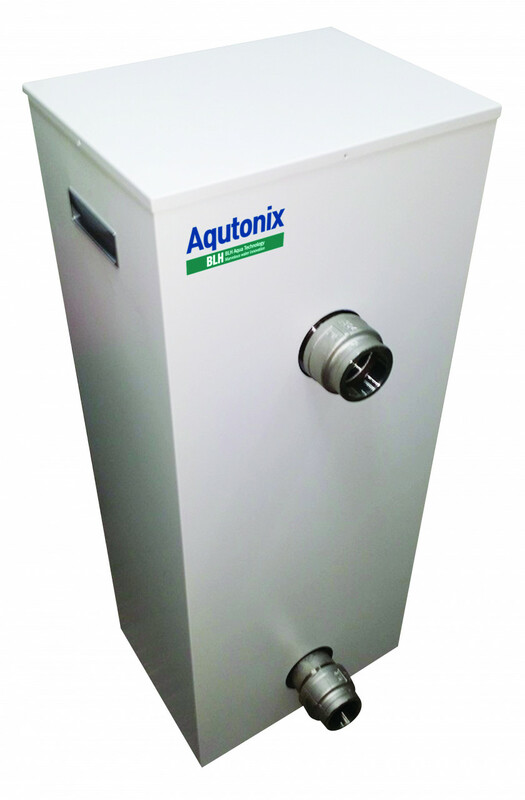 Aqutonix breaks water molecule clusters into smaller sizes using a high voltage electric field so that aquaporin can more efficiently dissociate water molecule cluster and transport water. “Using Aqutonix, farmers can reduce the amount of water they need to use by 20%,” Mr. Hong says. This technology targets the U.S. market, a country struggling with water shortage, and China, where agriculture accounts for approximately 15% of the GDP. The company expects to make 1.1 million USD in revenue by the end of this year. Aqutonix will be available in the retail market for 3.5 million KRW (3,000 USD) by the first quarter next year. A single unit can cover farmland as wide as 6,000 m2. The Korean agtech company has raised 732,000 USD so far, and received 132,000 USD grant from the Korean government. BLH Aqua Technology is supported by K-ICT Born2Global Center, a major Korean government agency under the Ministry of Science, ICT and Future Planning (MSIP).